The UKA has been featured in the 2008-2010 ARRL Handbook for Radio Communications! Anti-shock key to rig interface for "boat anchors"
NOTE: WE ARE OUT OF CABINETS, not sure when they will be back in stock. Use this to key nearly any solid state, grid-block or even cathode keyed rig transmitter, transceiver or amplifier. This totally silent solid state relay is rated for as much as 800V DC or AC, at up to 1.35A (see options below)! Use it to key your tube amp from a solid state rig, or keep that high voltage off your straight key - no more getting zapped when you accidentally touch the wrong part of the key! Note that you can connect TWO inputs at the same time - one active-high, one active-low. Use both your computer and electronic keyer during contests, for example. All standard connectors are used for maximum flexibility. A power LED shows that the device is powered on and ready, and the status LED shows when your rig or amp is keyed. 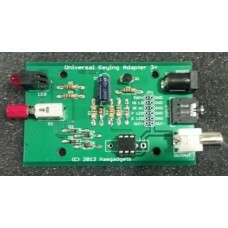 The kit is designed to use a nominal 12V AC or DC power supply. To make it easy to integrate into your station, your UKA-3+ can be built to work from any AC or DC power supply from 3 to 18 Volts. You can also easily build it into your amp or other gear! There are four mounting holes for #6-32 or M3.5 screws, plus a 2 x 6 pin header for quickly and easily making all the connections to the UKA-3+ board without using the connectors. Operation is simple. 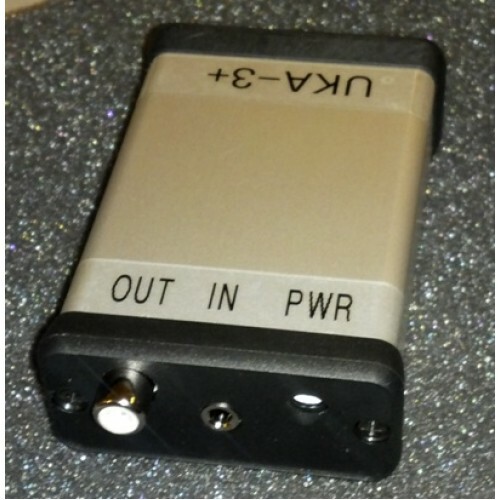 Input from your straight key, bug, computer, electronic keyer, foot switch or external T/R output of your transceiver controls the input of an optically isolated solid state relay with dual MOSFET outputs. An LED lights whenever either input is active so you know when the output is on. The output is optically isolated from the input - no more "hot" keys on the operating bench, and no more blown components in your solid state transceiver from keying that SB-series or other tube amp. Best of all, you get completely silent operation and turn-on times of just a few milliseconds. 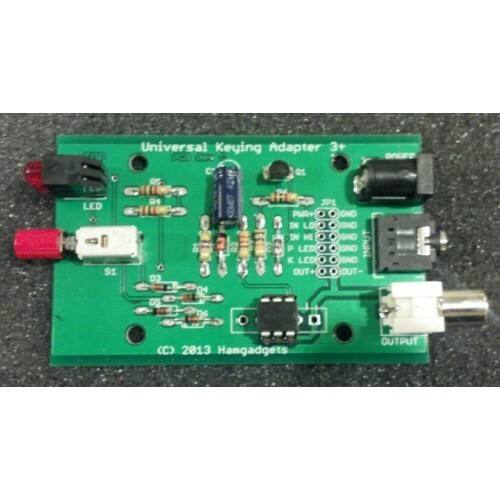 The all new UKA-3+ kit includes a new, high quality double-sided printed circuit board with all the features of the UKA-2 and UKA-3 and more. A push-on / push-off power switch is provided, as well as two LED indicators. It's designed to fit into the optional custom extruded aluminum enclosure with end panels precision CNC cut for the controls and connectors. The output relay can be ordered in either of two available versions. The standard solid-state relay is rated at up to 400 V / 240 mA, AC or DC. The optional heavy duty solid-state relay output is rated for up to 800 V / 700 mA (no heatsink), or up to 1.8A with a heat sink (a heat sink is not supplied, and will not fit inside the standard cabinet). 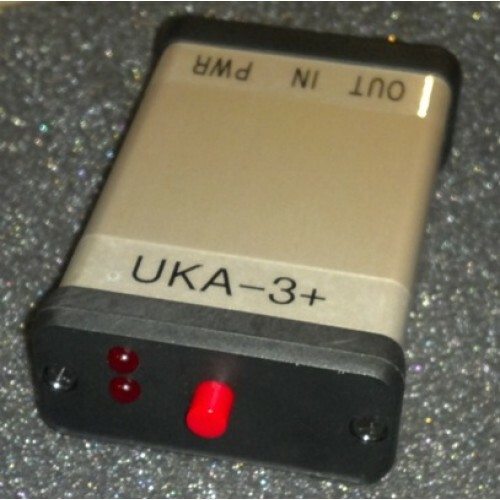 NOTE: The new UKA-3+ uses a single 3.5mm stereo jack for both input signals. The tip connection is the active-LOW input, so you can plug a 3.5mm mono or stereo plug from your rig, key or keyer. If you want to use an active-high source (normally a computer) you'll use the ring connection, otherwise it can be left floating or shorted to ground. 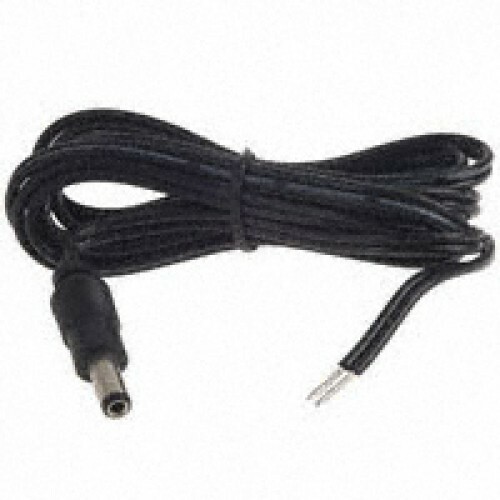 Please see the "Electronic Parts" category for 3.5mm and RCA cables and adapters to make it easy to connect to your rig. The kit contains a high quality, silkscreened and solder masked PCB, and all parts including connectors. The custom cabinet and power cable with a 5.5/2.5mm plug on one end, and bare wires on the other end are extra-cost options. You can download the complete assembly and operating manual from the Download tab on this page. This is a good kit for a person who has a little bit of soldering experience. All components are through-hole (no surface mount). Standard: Optically isolated solid-state relay rated for 400 V AC or DC, up to 200 mA max. Optional: Optically isolated solid-state relay rated for 800 V AC or DC, up to 800 mA max without heat sink, 1.7 A with appropriate heat sink.